I agree with Bob Caporale that the seven-step process he recommends — or another that is comparable in terms of comprehensiveness and cohesion — can help business leaders in almost organization (whatever its size and nature may be) to ensure that there is a strategy in place that can guide and inform efforts to achieve the given objectives. In fact, “whether you are a composer, an artist, a screenwriter, a theatrical producer, or a business strategist, these are the seven steps that will be required to produce your creative work of art. 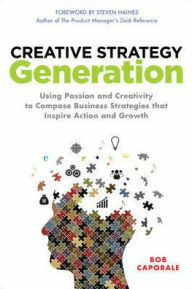 And make no mistake about it: the very best business strategies are indeed creative works of art.